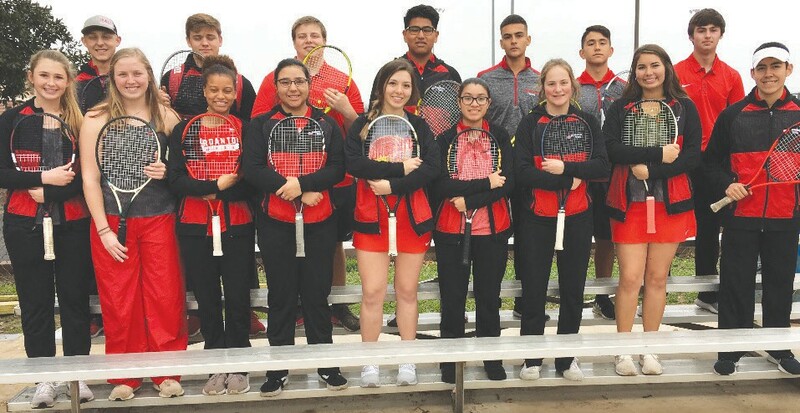 Jourdanton’s tennis team placed third in the team tennis regional meet, which was in Uvalde on March 2. The team lost to Knippa in the first round. 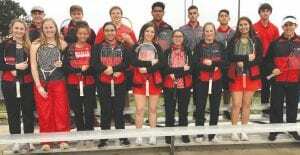 Jourdanton beat Sabinal 10-6 to get third place with Soledad Bautista winning girls singles for the final point. Jourdanton was a state meet alternate, but was not moved up into the meet. 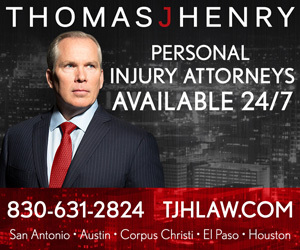 Jourdanton is scheduled to host a meet March 7 and 8. In the front row (from left) are Jenny Vrana, Kristin Mueller, Demaris Jones, Rita Lugo, Jenna Kuykendall, Soledad Bautista, Lea Karren, Averie Villarreal and Mac Ramos. In the back row are Hunter Rankin, Luke Jordan, Ethan Bedingfield, Emmanuel Lugo, Javier Flores, Josef Santos and Ty Myers.